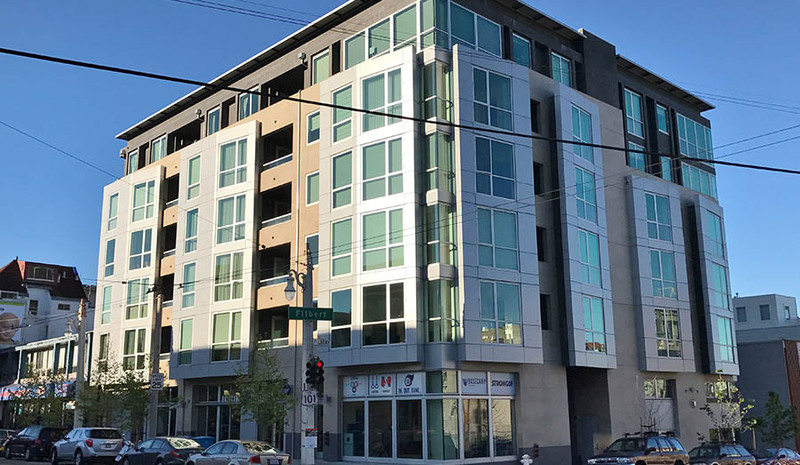 Murphy Burr Curry, Inc. is the structural engineers for this new reinforced concrete residential building. The building is seven stories with 27 units and parking at basement level. The building is designed with post-tensioned suspended floor slabs and the seismic system consists of reinforced concrete shear walls. Foundations are pad footings below columns with a partial mat below the central shear wall.